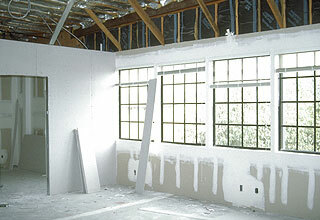 We provide soundproofing results for existing home owners in the Chicago area. Pending severity, 100% sound reduction from sounds like talking, TV, phone ringing, light walking footsteps and snoring. Small projects take about three days to complete and we can start most any day that fits your schedule. All orders need a minimum of five days before start date. At the start of each project we protect existing floors and windows. The finish product will be a smooth textured drywall ceiling. Areas will be cleaned at the end of the project. We have been able to provide excellent soundproofing results to homeowners in Chicago since 2005. Call or e-mail with room measurements. It's time to get to work on house projects that have been put off for too long. Sit back and relax while Chicagoland Renovations takes the work out of home improvement. Chicago residents have entrusted professionals from us to repair, restore and construct additions for over a decade. The results are beautifying and of the utmost quality because we aim to please our customers with top-quality construction backed by honest teamwork and a pro-active approach. Trust in a residential general contractor skilled to craft additional floors, room additions, basement leaks and more. Our services also include sound proofing walls, installing heating systems, wall construction, bathroom and kitchen remodeling, as well as installation and maintenance of hardwood floors and stairs. If it needs to be done, Chicagoland Renovations is on top of the job. Stop looking in the yellow pages for a fly by night building contractor. Chicago residents have the most experienced craftspeople at their fingertips. Browse renovatechicago.com or read through our articles to see firsthand how soundproofing ceilings, room additions, and more can enhance the quality of life and the value of your residence.